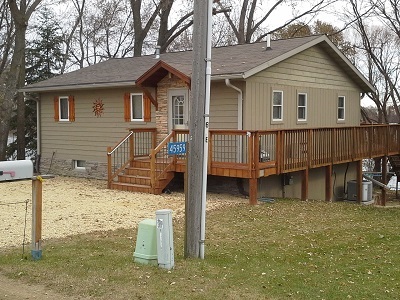 Immaculate 2 BR, 2 BA cabin or year-round home on Middle Jefferson. Well-maintained home includes many updates! Open living/dining/kitchen with 2 main floor bedrooms and 3/4 bath. Lower level features family room, walk-out 3-season porch plus 2 non-conforming bedrooms!